Whether you have new or gently used tires, you may be wasting the money you invested in them if your wheel-alignment is not properly adjusted. The logic behind this is simple. When your tires are out of alignment, they obtain much more tread wear, significantly decreasing the life of the tires over time. If your INFINITI car or SUV’s handling has become less agile, it may be a sign that your tire alignment has deviated from factory specs. Over time, your steering and suspension systems will be affected by pot holes, speed bumps and various road imperfections. This is something that you cannot avoid. Increase the lifespan of your car’s tires by making sure that your wheels are aligned. Pepe INFINITI Technicians specialize in and offer wheel-alignment services for your luxury INFINITI. ♦ While driving you might come across potholes and harsh roads in the Tri-State area; not only does the ride become uncomfortable, but if the wheels are not aligned, it can cause suspension and steering issues as well as rapid wear out of the tires. ♦ You might have trouble keeping the car straight and sometimes, you may experience a strange effect as if someone is trying to pull your beautiful INFINITI backwards. In order to maintain your vehicle and keep it running smoothly, wheel-alignments need to be performed. ♦ When the wheels are aligned, not only will your INFINITI drive comfortably and luxuriously, but it will also help extend the life of your tires. An INFINITI is not an ordinary vehicle and thus, it deserves special attention. When it comes to wheel-alignment, you cannot just go to any auto repair shop and have your INFINITI aligned. This is because it requires highly trained technicians and advanced wheel-alignment equipment. With more than 50 years of experience in servicing and repairing INFINITI automobiles, INFINITI Tech’s trained and qualified technicians will be able to determine whether your INFINITI needs a wheel-alignment or not by using the latest and modern diagnostic technology. If it does, our technicians will utilize state-of-the-art and cutting edge alignment equipment to align the wheels of your INFINITI as accurately as possible to the factory’s recommended specifications. This is achieved by readjusting the angles of the wheels to match the settings as stated by INFINITI. 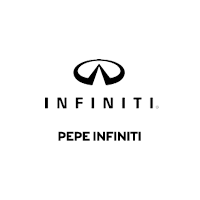 At Pepe INFINITI, we pride ourselves on customer satisfaction and ensure that your luxury ride is cared for in the most excellent manner because we only work with INFINITI vehicles. If you need to get the wheels of your INFINITI aligned, leave it in the hands of the professionals who possess knowledge and experience. At Pepe INFINITI, we pride ourselves on customer satisfaction and ensure that your luxury ride is cared for in Serving the residents Westchester and surrounding areas, our team will assess whether your INFINITI is in need of wheel-alignment or not.